More light and then even more – that’s the theme of Chanukah. Never stop growing, never stop brightening, don’t let the light go out. The flame of Judaism is in your heart and in your hands. Use it to light one candle. And tomorrow, light another one. 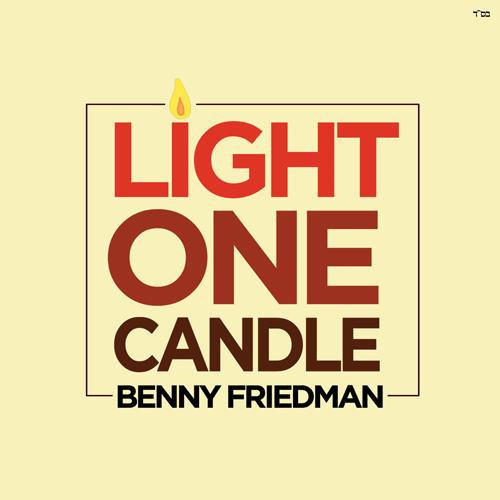 Enjoy this new video and single, a Chanukah gift from Benny Friedman. The video was produced in collaboration with Danny Finkelman of Sparks Next and Sruly Meyer. Music arranged and recorded by Aryeh Kunstler, featuring background vocals by Yitzy Spinner. Background Vocals by: Yitzy Spinner.